Leviton Manufacturing Company’s GreenMAX™ Relay Control System and Sector™ Intelligent Ballast Controls have both been named by Building Operating Management Magazine among its top 100 products of the year. There were over 500 products submitted and the winners were chosen by the building and facility management executives that subscribe to the magazine, 100% reader selected. Both the GreenMAX and Sector products will be featured in the January 2011 issue of Building Operating Management (BOM) as a Top Products Award Winner. “Leviton is pleased to have two of our energy savings products ranked in the Top 100 Products for 2011. Both the GreenMAX and Sector products are part of our commitment to offer our customers the latest and most effective technologies for lighting control and energy savings” said Richard Westfall, vice president and general manager, Leviton Lighting & Energy Solutions. 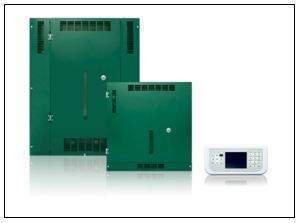 The GreenMAX family of relay control panels affords an industry-leading short circuit current rating (SCCR) of 25,000 Amps (at 277 VAC) for maximum service life, robust relay modules for today’s high-inrush electronic loads, integrated dimming and switching capabilities along with daylighting and “smart” control features — all in one energy-smart, cost-effective lighting management solution. Leviton’s Sector Intelligent Ballast and Lighting Control System combine several energy saving technologies – occupancy sensing, daylight harvesting and dimming – into one conveniently integrated system. This topology free system uses the same wiring type for all Sector components and accessories making it one of the easiest lighting control systems to install. 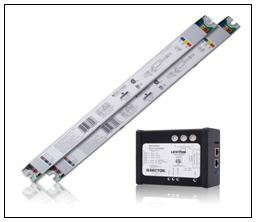 To further simplify installation, all components are on a single bus, with accessories connected to the network, not the ballast. The Sector family of products provides a scalable solution that offers maximum flexibility and maximum coverage in any application – from a single room to a campus of buildings. The Sector Intelligent Ballast and Lighting Control System and GreenMAX Relay Controls are part of Leviton’s integrated energy management offering, which includes Leviton occupancy sensors, the miniZ™ daylight harvesting system, commercial grade sub-meters, box-mounted timers and dimmers, as well as architectural lighting control systems for building-wide lighting management.